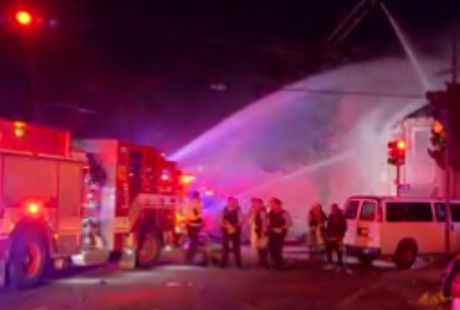 Two people are dead and several others are hospitalized after a car crash and fire in New Orleans. Police say the accident happened last night around 9 o’clock. When an individual driving a stolen vehicle tried to evade officers and crashed into a building in the uptown area. Two people inside the vehicle died. At least three other people who were inside the building were taken to the hospital and are in stable condition. Two police officers were also taken to a hospital for treatment for smoke inhalation. The vehicle crashed into a popular hair salon, unity one. Cops tell Nola.com one of the women who suffered severe burns was getting her hair styled at the time of the incident.